Dr. Brumm has been practicing dentistry in the same location on Oracle Road in Northwest Tucson for over fifteen years. Dr. Brumm grew up in a small town in Orange Cove, California, in the Central Valley, where his father was also a dentist. He did his undergraduate work at the University of Miami, Florida, and then went on to receive his dental degree from UCLA School of Dentistry. After dental school, he practiced for a year with his father in Orange Cove, and then moved with his wife to Tucson. 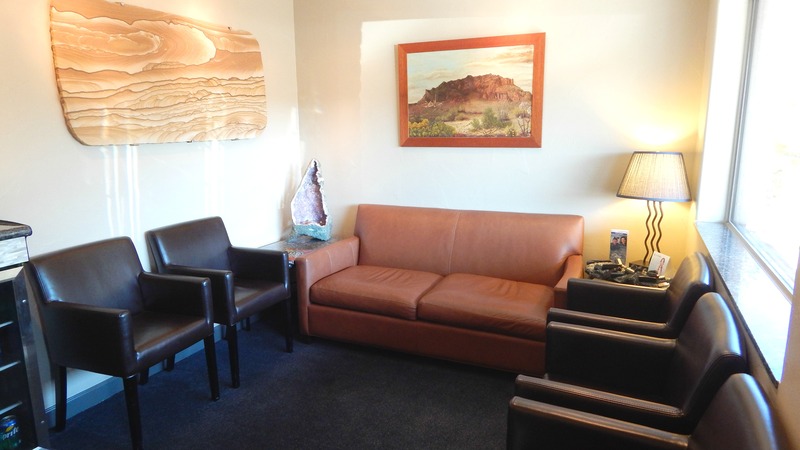 Shortly after arriving in Tucson, Dr. Brumm purchased his practice from Dr. Jack Garcia, who was retiring from practice after 30 years, 25 of which were in the same building the practice exists in today. Dr. Garcia had built the red brick office when Oracle was still a two lane road! 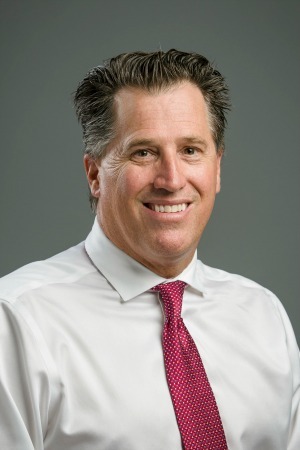 Dr. Brumm greatly enjoyed taking over this established practice, caring for patients that had been around for years, but bringing his more recent training to move the practice forward. Dr. Brumm’s approach to dentistry is both progressive and conservative. He enjoys doing the basics well, while learning what new techniques and procedures are available in the world of dentistry. For example, he recently added dental implants and Invisalign to his repertoire. His focus is on dental health that fits each individual patient’s needs and desires, providing patients with an array of options to let them decide what works best for them. Dr. Brumm also delights in getting to know his patients personally and establishing a long-term relationship with them and their families. Dr. Brumm loves living in Tucson, where he and his wife are raising four lovely children. Dr. Brumm spends his free time working with his children at their home in Oro Valley, where they have chickens, goats, and horses, and where his older children attend CDO High School. He also loves to explore the canyon areas in northern Arizona and southern Utah, hiking, biking, and kayaking, and has a great passion for geology and science. He volunteers his time at his younger children’s school, the Tucson Waldorf School, and has been a very active member on the Pima County Board of Health for District 1. Superior Quality! Caring office with excellent care. Great office, kind compassionate staff! Dr. Brumm explained all treatment that I needed. No surprises. I’ve received excellent care in Dr. Brumm’s office.